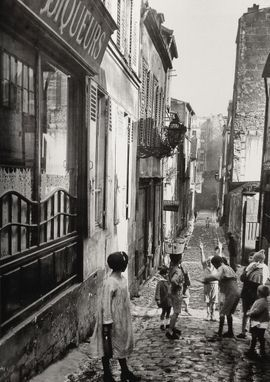 It was always an incongruity for me, the love that my French-Algerian tutor of Parisian French held for Édith Piaf. « Ah ! 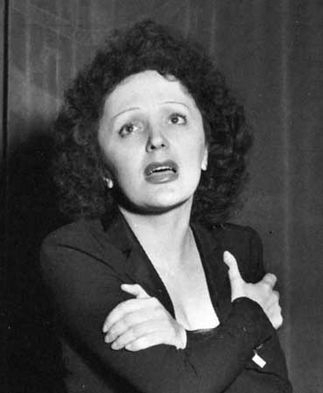 J’aime Piaf ! J’aime Piaf ! » she would exclaim to me during my private lessons with her, lessons that I paid for myself, at the rate of $5 a session. I might have been getting the better of the bargain between us, but perhaps not. She became devoted to my instruction in a way that stopped just short of nurturing. 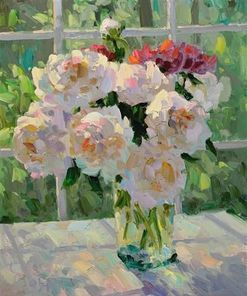 And I, quite without knowing it, displayed for this quiet, extremely private, demure woman an implicit sense of daring and adventure. This woman undoubtedly understood aspects of my nature that I had yet to comprehend about myself. I was so young, and she was somewhere in her late-thirties. During that hour or so, a space of time that became two hours as the months passed by, the years between us became irrelevant. Language, or the love of the French language, united us. And that time, in my mind, became eternal. Her name was Antoinette, but I knew her as Madame Washburn. She lived just a few blocks away from where I lived. I walked there on Sunday nights, for my French lesson, a form of linguistic ritual that I performed with devotion, almost religiously. She shared a rented second-story flat with her chemist-husband and their daughter, a toddler with immense, brightly dark round eyes and a smile so large that it filled her entire little face. I would simply look at that smile with amazement as it spread wonderment to me. For about two weeks, during the winter of my junior-year high school French class, Madame Washburn had been a substitute teacher. From the minute that I heard her speak français, I made the decision that I would request of her private lessons, les cours particuliers. I was intent on learning French, true French, not the classroom instruction kind. I also yearned to create writing with a French sensibility. I would soon be on my way to university as a full-scholarship student, and there I would study French literature to become an American writer. Madame Washburn was aware of these desires of mine, and though we never formally discussed my aesthetic and literary needs, she responded to them innately, possibly with the love of Piaf that I had yet to learn. Those nights of instruction, especially the ones en plein air in the small courtyard, behind her house, those nights were filled with souvenirs that I cherish to this day: the round, black wrought-iron lattice-design table; the hard, wrought-iron chairs, with rusting black paint, upon which we sat; the expertly-made baklava that, to me, was a greasy mess of calories I’d rather forget, but I ate one piece to be polite. She was so excited and proud of having baked this dessert. Indoors, I sat at a small, round table with this tiny black-haired, black-eyed woman, in the dark, dimly-lit dining room of walnut wood furniture with lace doilies. This room was, I believe, a re-creation from her humble childhood home in Occupied Paris. A fabric screen separated this room from the room where her husband, the Chemist, did his work. I always expected some kind of small, smokey explosion to quietly erupt from behind that floral fabric barricade, but it never did. What quietly erupted was my love of the French language in such obvious ways to this woman that she worked with particular diligence to help me, Debra Tanis, the future writer, to learn all that I could in the 1-1/2 years of teaching to me this beautiful language, strictly through phonetic lessons. Her method was not extremely unique, but she made it all her own. I spoke in French, and she vigilantly but patiently corrected each syllable, each vowel sound, each liaison, each elision, each accent of the Three Kinds. I read text aloud in French, but I was not allowed to write anything down, either from what I said or from what she said. She prepared lessons targeted to my interests in literature, art, history, culture. The textbook from which she read contained sections on French writers and philosophers and those portions were chosen for my benefit. Blaise Pascal was a favorite, of hers and mine. She adored Gide but I did not. 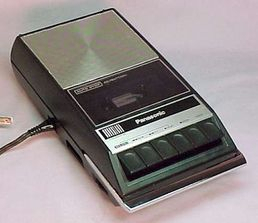 A small tape recorder accompanied me to the lessons to record each text reading that she’d prepared, along with vocabulary lists. I spent at least two hours the next day, Monday, listening to the voice of Madame Washburn and jotting down the French into English. First, I would play, and replay, portions of the recording, to refine my understanding of the words, the phrases, the expressions, the entire text, often syllable-by-syllable. I did not use any book or dictionary. 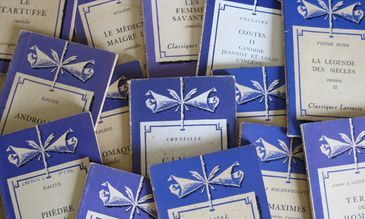 Only after I’d written down the words onto lined paper, and had given the entire recorded lesson my best auditory try at translation — and it had to be mon mieux — only then could I look up the words in my Cassell’s Dictionary. I would then correct the words and, the final reward, look at the text in the book to verify (see, but also hear) how well I had done. For Madame Washburn, the point was to train the ear, not merely to “hear” French but to articulate (AR-TI-CU-LER) this language with the exact precision of excellent pronunciation. And train the ear I did. Her other goal was to train my mouth and facial muscles to move like a French person’s muscles. (The word, chirurgien, still has a subtle poetic flair for me.) Finally, she wanted me to be able to “think French,” not merely translate it to English, and vice versa, in my mind. This final step took a few years, but Madame Washburn knew that I had the natural ability to accomplish this feat. She sensed that French was not a foreign language to me, but a part of my self that I yearned to express. And she believed that I possessed the determination, the dedication, and the love to honor her native tongue. I can still hear Madame Washburn say, « En haut » and « Cependant », her soft, somewhat throaty voice rising in the inflection, respectively, at the end, and then at the beginning of those words. I also hear the famous French meter, the added stress on the end of almost every word; the quick, closed « o », the clipped « u ». And I see the chop-chop-chop of her petite brown hands to signify the equal stress, like a metronome, on each syllable of each word. I heard her sing « Au clair de la lune » while I sang it for this website. 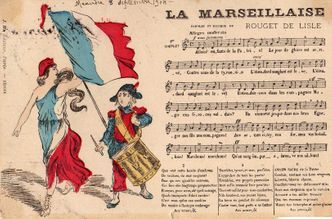 I can still recall the rousing, mutely tearful rendition of « La Marseillaise », the French national anthem that she played for me on my tape recorder one Sunday night, not long before my lessons were to end with her, that summer when we parted. I heard that stirring song in my heart when I sang it for THE DAWN. I shall always hear her voice, in some way, in each French word that I say and sing. Words of wisdom that I follow to this day. I have read two books on the brief life of Édith Piaf (19 December 1915 - 10 October 1963) and I must say that I not only learned the French that most definitely was not taught in school or by Madame Washburn; I learned the French that was not even taught on the streets! To say this singer had been a girl of the streets is to underplay the streets in the life of a female who was a miracle for not only having survived her childhood, but for having been born! Piaf embellished many of the facts about her life although for what reason, is yet another mystery about the woman. The reality, such as it was and was not, sufficed to keep people’s ears glued, for years, to the Victrola, to the radio, to the phonograph, and then, to her luminous allure and vocal power in the concert hall. And therein lay her most innate talent, not just the nearly tactile emotional rendering of a huge, glistening voice from a birdlike body that shrank from savage pain and drug addiction, but the marketing of that talent. Édith Piaf, La Môme Piaf, was the ultimate survivor, but the price for this sparrow to sing, to fly away through song, was a broken-wing personality that would never fully heal or even attempt to heal. She could be caring, but not loving; vengeful but not hateful; loyal but also treacherous; coy and sweet but sharp and bitter; honest as well as conniving and lying; and in such desperate need of being #1 that she often cut any other singer, male or female, off at the knees who tried to get on the stage, and not merely on her stage. The world of singing is filled with such antics, one soprano out-screeching another, a tenor thwacking the thorax of another to get up on stage to boom his voice. 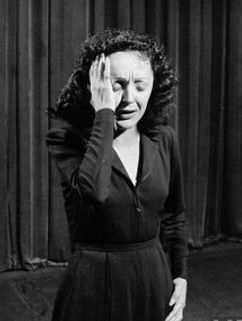 Any singer has to develop sharp elbows along with the B sharps, but La Môme Piaf was the master, the mistress, and the martyr of every song that she ever sang. 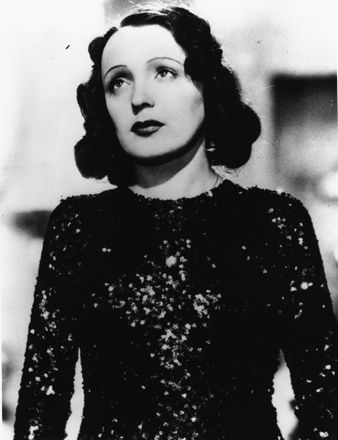 Édith Piaf burned a lot of bridges; some of them while she was still standing on them. Insecure in life, secure only on center-stage, she was open-throated in voice, not always open-hearted in virtue; sensually blunt with each scintillating word that she sang; and in firm command of enough tender abstraction of naked sentiment that the listener - and especially the French, felt that the voice emanated from Somewhere Else, not just within the pit of her half-hardened soul. It had long perplexed me, how a French Catholic woman of entirely Parisian sensibility and devout religious piety, how she could love Édith Piaf. I have come to understand how it was the purity of passion in the voice of this woman-child that elicited such passion from the heart of this French Algerian woman. Madame Washburn possessed an introverted self and her ardor for this singer had felt, to me, at odds with that self. It now makes perfect sense: The passion from the heart of Piaf might have beat for something impure, but that passion was as pure as all-get-out! My French tutor loved the power of that voice, the passion that created the power, and vice versa. The song that, to me, is the most “Piaf” is her swan song, « Non, je ne regrette rien ». And it is the one song that might have been written just for her. Yet the song was not written for Piaf. 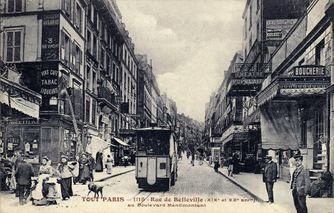 The song was originally conceived by lyricist Michel Vaucaire for another popular French singer, Rosalie Dubois, with the more intriguing title, « Non, je ne trouverai rien » (No, I shall find nothing). 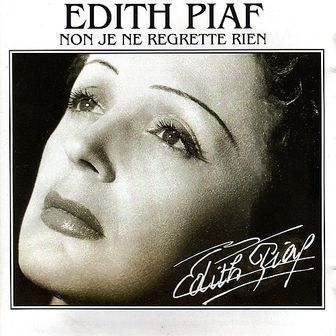 The song’s composer, Charles Dumont, has written that Vaucaire changed the title to « Non, je ne regrette rien » with Édith Piaf in mind. Initially, Édith was very rudely not interested in this song but, then, upon hearing it, she knew that here was a song she would have killed for! This song is pure Piaf. Clocking in at 2 minutes, 26 seconds, the song is as powerful as this French singer could punch. Each line contains the Build-up, the stress on the last syllable, the last note of the line that leads so forcefully, almost inexorably, like an auditory freight train, onward, even upward, to the next line; and to that next final syllable, with its dynamic vocal, lyrical impact. The song sounds like an ever-expanding majestic military march of the heart, with full French honors and Napoleonic uniform! Even when the voice wobbles 1/4 note flat at the climactic ending, it commands you to listen to it; and the ear, and heart, say: “So what? It’s from the heart!” Qu’importe ? C'est du cœur ! By then, the orchestra has nearly overtaken the vocal sound and Édith can finally take a small break from the heartbreak. In actuality, the “ear” of the audience prefers, and responds much more emotionally to, the occasional, oh-so-slightly-off note sung during a sublime moment of emotion. Listening to the singer with perfect pitch is like listening to a faultless machine, with fitting, almost predictable, results: You could care less! Piaf knew that truth, cette vérité, of how to touch the heart through song. And this girl of the streets knew the truth of poetry, especially French poetry, in song. The French meter in poetry, especially Classical French poetry, is based upon the emphasis on the final syllable of the word (as opposed to internal rhyme that can distract from the impact of this punctuation mark at The End). In that way, the dramatic build-up within the refrain of this song takes place, moving steadily toward that end zone of emotion. There is the rhythmic decrescendo of the verse that serves largely to lead to the dramatic progression, once again, of « Non, je ne regrette rien ». The sense of Piaf marching forward with her love, her life, to reign supreme over pain and heartache, that sensibility is superbly achieved throughout each line, throughout the entire song. The orchestra in the background combines forces with the singer toward the crest of each line, moving like an enormous wave toward the shore of that finish line. The dynamics of this song are spectacular! This magnitude of musical emotion is magnificently sustained and mastered in the refrain of this song in the way that only a natural and instinctive singer like Piaf, with her large, surging voice, could achieve. Each line, each note at the end of each line, intensifies and augments the music as it leads to the ending that is unforgettable, and triumphant. Or, as Édith exclaimed upon hearing this song, « Formidable ! » She knew that she had the type of voice for this song, as her ear heard it. Her ear never let her down, even if the mouths of plenty of other people did. The lyrics of this song are presented below, first in French and then in a quick English translation, in the way that would meet the approval of Madame Washburn. C'est payé, balayé, oublié, je me fous du passé. Aujourd'hui ça commence avec toi. I don’t care about the past. The ending of this song contains lyrics that are the true tearjerker triumphs of any song, of life, of love. And those lyrics prove once again the ultimate, dynamic climax of this song. From a poetic perspective, however, the previous lyrics do not logically or emotionally lead to this exultant conclusion. Not enough time has transpired. When a writer begins a poem with the negativity of: non, rien de rien, non, ne . . . rien — a victorious conclusion can be achieved only after a novel has taken place! « Non, je ne regrette rien » is an illogical song, but so is love! For Piaf, this swan song was her boldest way to express the contradictions of her fiery heart and tormented soul. Valiant, but still vulnerable, she stands there, in her black dress, a costume designed to bring the eye to her face; to focus on her eyes, on those hands, and on the whiteness, that blancheur, of her resplendent pale skin that was assuredly, as time went on, more the result of morphine than her Normandy genes. Her mouth opens to assert, yet again, this time, that she is the Only One who can sing this song. Indeed, she made some songs so much her own that many successive singers, intimidated by the Original, can only imitate her singular, immortal expression of the musical notes and notation. Anything else would be indecent, immoral. La Môme Piaf wanted it that way. She was the kind of natural singer who could only sing a song that she felt, understood instinctively, a chanson to which she reacted emotionally, not mentally. There, then, is the French love of song: it must be felt more than thought. Édith Piaf was the Descartes of music: I sing, therefore I am. A person can reach that idyllic state of mind, or heart, where she regrets not a thing, but I am more in tune with Paul Anka and his, “Regrets, I have a few, but then again, too few to mention.” And I do wonder if Piaf felt no regrets. She did not fib while she sang those words, but she did not entirely tell the truth. That enchanting, daring but “sournois” ambiguity, complete with that dazzling impish smile, was Piaf. Her power, however, was not in honesty, a virtue she jettisoned early in life. Her puissance came from her passion for singing, and that musical proclamation was intense, absolute, real beyond reality. This “reality” was the only one that this Little Sparrow knew, and from it she sang, and lived, and died. She cannot be faulted for having created from a fiction of her life facts that maybe even she could not confirm or, more likely, remember. I think the phrase “I start all over again” could, for Piaf, be more literally translated: “I start again at nothing,” a statement that could very well be interpreted as a sign of a build-and-destroy personality. Piaf was, however, more patently self-destructive than self-damaging-in-cycles (success/decline/comeback/fall) in the manner of, say, Judy Garland. Édith Piaf fought and clawed her way from rock bottom to a relatively high position at the top, but she did not seem to crave social status. She craved escaping poverty and squalor; she loved the spotlight; and she hungered for love. 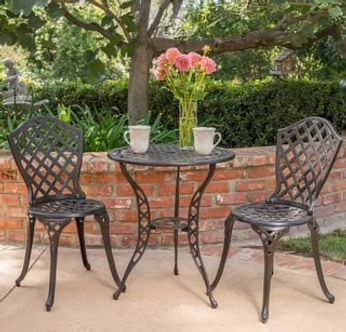 At the same time, a part of her always felt at home “on the streets,” that setting that is so falsely viewed as romantic and noble. La Môme Piaf constructed a persona from a very definite and real person, and she reached a height that was lofty, and soon proved elusive, and slippery, for her. Portions of her person, and her persona, never fully escaped the underworld that had been her milieu but also her means to survival. In some ways, she preferred the underworld to the top of the world. Her broken wing, never healed, became more broken as time went on, and then time went on without her. It is foolish and equally disingenuous for anyone to glamorize, romanticize or idealize this woman who had to hold fast to every glorious note that she sang in order to survive a life that no one in these modern times would scarcely recognize as a life. And it is shallow to laud her and to applaud her, to celebrate her life while also forgetting the corrosive circumstances of that life, and ignoring the pain that propelled that voice, note by note, and fabricated that beaming smile, a smile that tried to hide the white light of her pain. 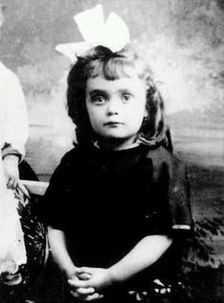 A child stripped of a childhood, and then stripped of her own child, through death: that person was Édith Piaf. Her voice was The Person she forged from all of that morass of anguish, the douleur that, in time, little by little, drop by drop, injection by injection, she succumbed to, from the past that caught up with her. 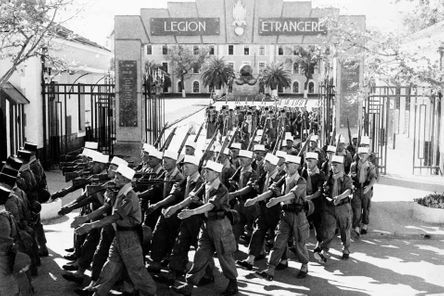 “I think you have to pay for love with bitter tears,” Édith dourly stated. I could not be more in discord with that statement. Love can only be bought with tears of joy, but, in truth, in reality, love can’t be bought at all. The only love that Piaf knew was the love of singing on that stage. Any simplistic remembrance of Piaf serves only to retrace the sad trajectory of the tempest-tossed existence of this chanteuse and songwriter. She lived to sing and she lived her life through song, but a song is not a life. And she started life with nothing except that formidable will to live and a massive voice filled with pathos and gutter-pluck. That voice, the essence of her emotion, was not soft or sentimental. It was almost raw, due to a rough vibrato that threatened to become a tremolo from her physical wasting away. The voice possessed a hornlike quality but the dauntless, emphatic expression of her will elevated the sound to an angelic affirmation, almost a declaration of life, of her life. The voice was hauntingly dramatic, filled with fierce tears, but it was not pretty. It was a rare combination of facets. It was a rare voice. Piaf paid a dear price for that rare voice. She died with the severe awareness of all that she had paid to live her life, to sing with that voice for her supper. Piaf achieved monumental fulfillment of that gift, the voice that gave her life. When she surrendered that life to drug and alcohol addictions, the voice went with it, and she probably no longer cared at that point about life, love, or the voice that had transcended life. The memory of her voice lives on, in ways she never could. « Je ne regrette rien » was released in 1959, four years before Piaf died from drug addiction and alcoholism. Each performance of that song had been a willful testament, a formidable vocal striving to reach that state of grace where her demons were subdued by her angels. In the end, she regretted nothing, but forgave all, not long before the final mercy arrived. 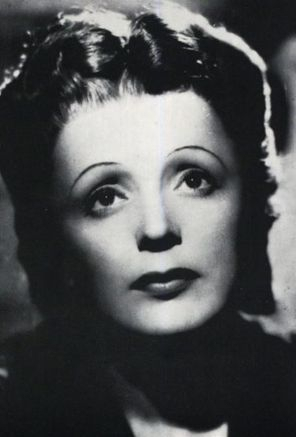 « La Vie En Rose » is widely deemed the signature song of Piaf. Co-written by Édith in 1945 and released in the postwar France of 1947, the song predates the tragic death of her lover, Marcel Cerdan, in 1949. Her affair with this boxing champion lasted about one year, just long enough for their time together to live forever in the overwrought heart and fragile mind of this woman. This loss was yet another in a string of losses from which Édith Piaf would never recover. For Piaf, the song expressed a love so complete — consummate, carnal and spiritual — that it could make the darkness of her life évanouir - black out — so that she could then know only the rapture of love. A love so absolute, so all-embracing, could sublime this physical pain, this dolor of the heart, into something else . . . la vie en rose. This light of love within her heart, within his heart, would never die, perhaps like that celestial spotlight on the stage that made Édith Piaf feel real, feel loved, feel éternelle. That signature song, like her swan song, spoke of the dreams of love, the dreams of life for this broken-wing sparrow. Of such reveries are songs written and sung, in French and in English, through the timeless language of love.